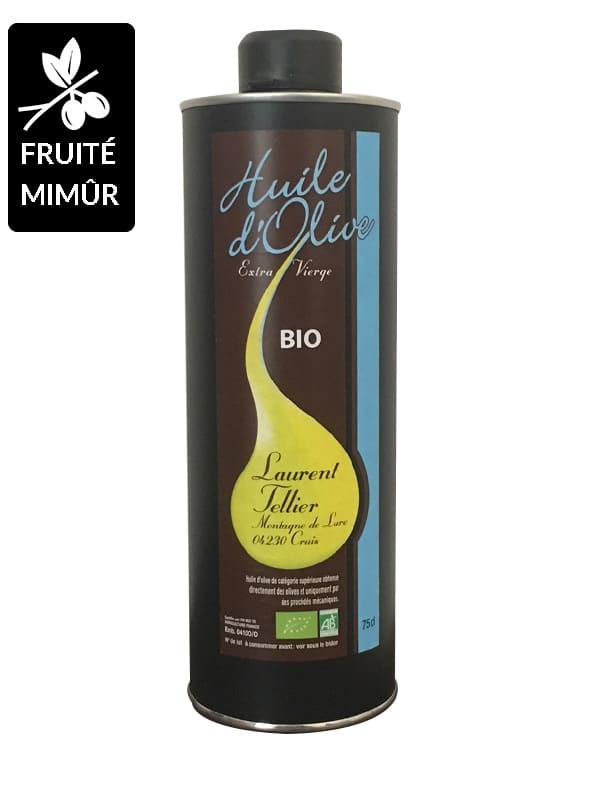 Extra virgin olive oil from Haute Provence 100% organic, intense green fruity, olive variety Aglandau. Powerful aromas. 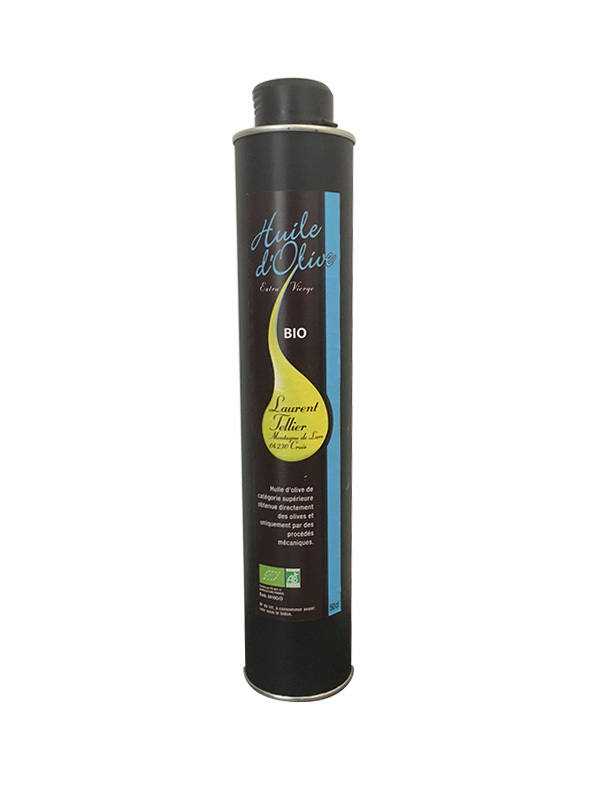 Organic olive oil from France creamy and particularly fruity. Sweet on the palate, its slight bitterness (ardence) awakens the taste buds. 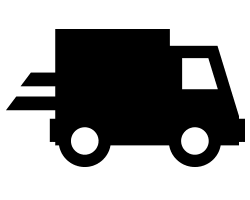 Excellent olive oil, it will retain all its character for 18 months. Aromas of artichoke, banana, apple, pear, hay and almond. 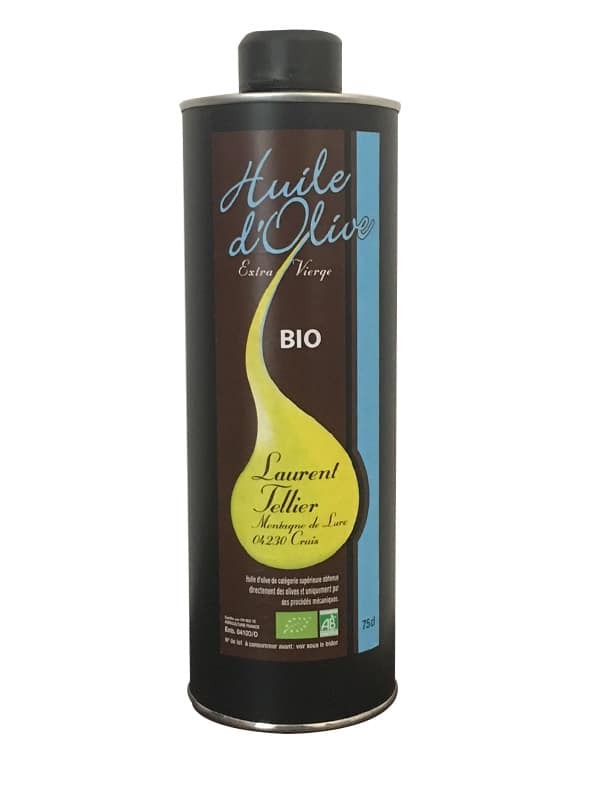 This organic extra virgin olive oil from the Alpes de Haute Provence is produced 800 meters above sea level by Laurent Tellier. 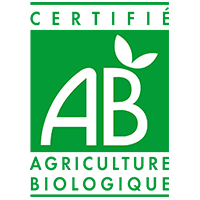 Recommended for salads and raw and cooked vegetables. Intense green fruity son enchants even dishes without flavor.